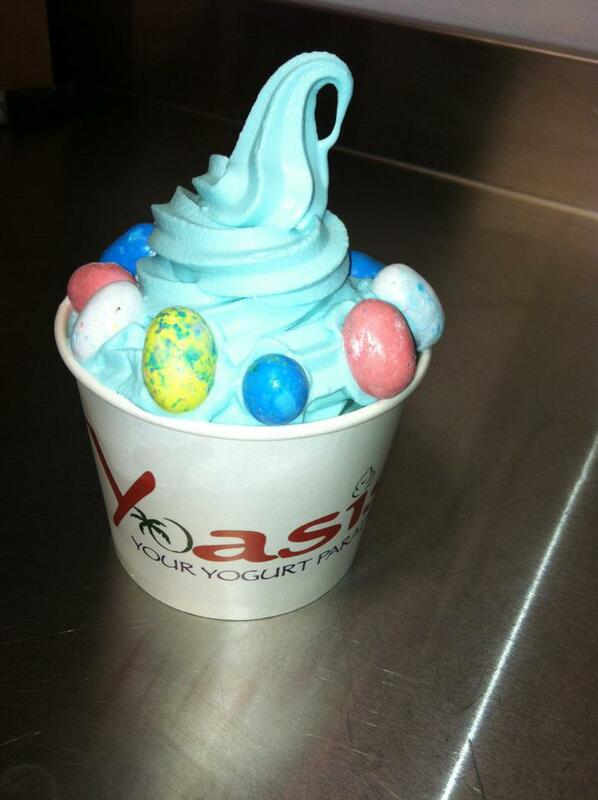 Hop-in to Yoasis Frozen Yogurt on Asbury Avenue this Saturday, April 7th and discover Egg-Stra Special Savings. When you enter the store, look for the basket of eggs and open one to discover your savings. The eggs will be stuffed with various discounts from 10% OFF to 50% OFF. Present the coupon at time of purchase and receive discount, limited to one coupon per purchase. When you’re done, HOP across the street to the corner of 9th and Asbury and have your free photo taken with the Easter Bunny from 1pm-3pm. Participate in the Boardwalk Easter Egg Hunt between 11th and 13th street beaches at 2:30pm. 50 of the 100,000 hidden eggs will contain coupons for Yoasis…Happy Hunting! Don’t forget to try our Malted Candy Easter Egg Frozen Yogurt, here for a limited time only. We will be OPEN from 11AM TO 9PM ON EASTER SUNDAY!